Strawberry Kush Medical Marijuana seeds produce an incredibly unique plant offering the best characteristics possibly from its Strawberry Cough and OG Kush parentage. 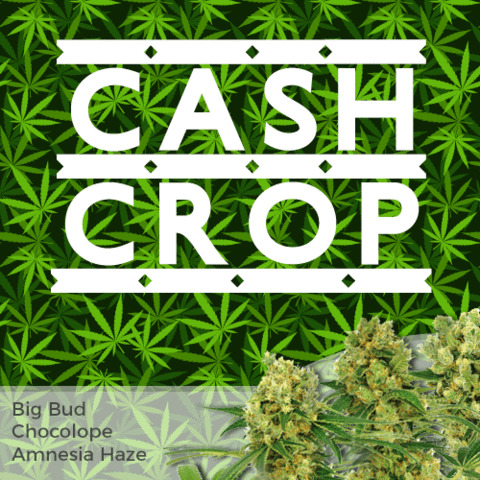 Comprised of 75% dominant Indica and 25% Sativa genetics, this fast-flowering, ‘cash-cropping’ strain is a joy to grow and an even bigger pleasure to smoke. Whether you are planning to grow indoors, or outdoors during the Spring and Summer months, Strawberry Haze Medical Marijuana is a perfect choice. Easy to grow and forgiving it nature, it’s a perfect choice for both novice growers and seasoned veterans alike. Strong stems, vigorous growth and heavyweight yields are just some of this strains distinctive characteristics. These Strawberry Kush seeds are totally stable and 100% feminized. Germination is completely guaranteed, unlike many seed banks and producers who sell their seeds as souvenirs, and should any of your seeds fail to germinate, replacements will be dispatched. For new growers, Marijuana seeds produce either a male or female plant. The female creates flowers and buds, while the male produces pollen. When a male plant releases its pollen, it fertilizes the female plants, turning them from bud, to seed production. A single male can pollinate an entire room of females, ruining all your hard work by creating seeds rather than THC and buds. You can learn more about growing Marijuana by downloading the free, no obligation E-book at the top of the page. 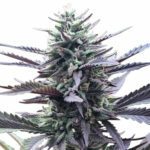 Packed full of information on growing techniques, feeding patterns and schedules, as well as some of the methods used to maximize yield, its one of the most informative, free growing Marijuana guides available. 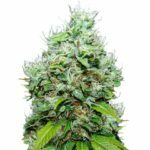 Strawberry Kush Medical Marijuana seeds remain true to their dominant Indica genetics, producing short, squat, bushy plants with very close lateral branching and strong stems. A typical ‘Kush’ mature heights remain reduced, achieving between 25 – 100 cm tall when fully mature, depending on the length of vegetative time allowed. A perfect candidate for Sea-of-Green technique, responding well to techniques for increasing the yield, such as, super-cropping, bending and topping. A reduced flowering period of just 55 days when grown indoors makes this strain highly popular, especially as the Sativa genes extend the buds and colas, while the more dominant Indica genetics ensure the buds are hard and dense. Even with such a short flowering period, harvests are enticing, with yields of between 450 – 650 grams of dried, hard buds per square meter easily achievable, given good growing conditions. Strawberry Kush is one of those strains that ‘flies under the radar’, Dense, hard buds with a beautiful red and light purple hue give this strain instant ‘bag-appeal’, while the generous coating of resin ensures a long-lasting, pleasurable high. 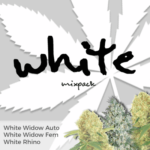 A great strain for all levels of experience with a low leaf to bud ratio and plenty of resin on the trim and sweet-leaf for making Cannabis butter and edibles from. Strawberry Kush Medical Marijuana has an extraordinary aroma and flavor with hints of sweet fruits, berries and sandlewood. Rich, fragrant smoke, smooth and intoxicating, offer all the fruity flavors you could wish for. Strawberry Kush Medical Marijuana offers a happy high that’s very cerebral and euphoric. Loved by both medical and recreational users for its uplifting but calming effects, Strawberry Kush cotains between 17% – 19% THC with a low CBD content, providing a great night-time smoke, with a relaxing body-stone, perfect for ending the day. Enjoyed by both recreational and medicinal users alike, Strawberry Kush can provide relief from stress, anxiety and depression, as well as providing natural pain relief. 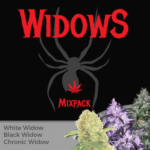 A versatile strain with the potential for many medical applications including relief from headaches and stimulating the appetite in people with eating disorders or lack of appetite due to chemotherapy, as well as aiding sleep for insomniacs. 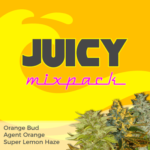 You can buy Strawberry Kush Medical Marijuana seeds in packs of 3, 5, 10 and 20 feminized seeds. World-wide postage and super-stealth packaging are included in the price, and delivery is guaranteed. To find out more about buying Strawberry Kush Medical Marijuana seeds online, click below.